necessity for American families, businesses, and consumers. particularly in areas lacking competitive choices. variation among States and between urban and rural areas. to benefit fully from those investments. section 2 of this memorandum. Sec. 2. Establishing the Broadband Opportunity Council. and with the Federal Communications Commission as appropriate. 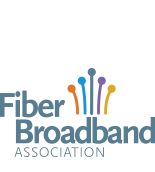 groups and committees involved with broadband. Council, as appropriate, based on that review. Sec. 3. Functions of the Broadband Opportunity Council. memorandum to determine possible actions. of the Council of that designee. or deployment of wired and wireless broadband networks. (Expanding America's Leadership in Wireless Innovation). wired broadband deployment and adoption. agencies can take to support broadband deployment and adoption. Council shall meet at least twice. Commission concerning spectrum allocation decisions. must be protected in the interests of national security. with the requirements of this memorandum.